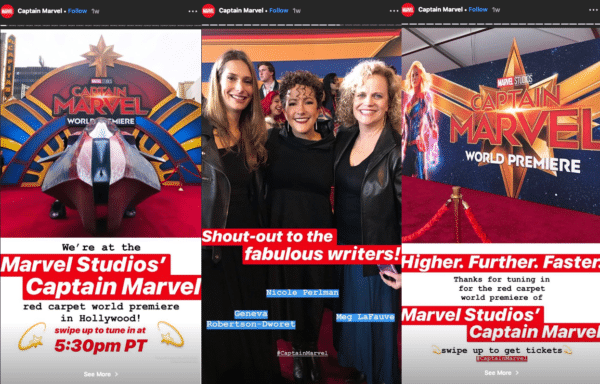 These are just a few of the many exciting ways to describe Instagram Stories. Debuting in August 2016 as a way for Facebook to compete with Snapchat, Instagram Stories is now a key part of the social media arsenal for avid users, influencers, and brands alike. 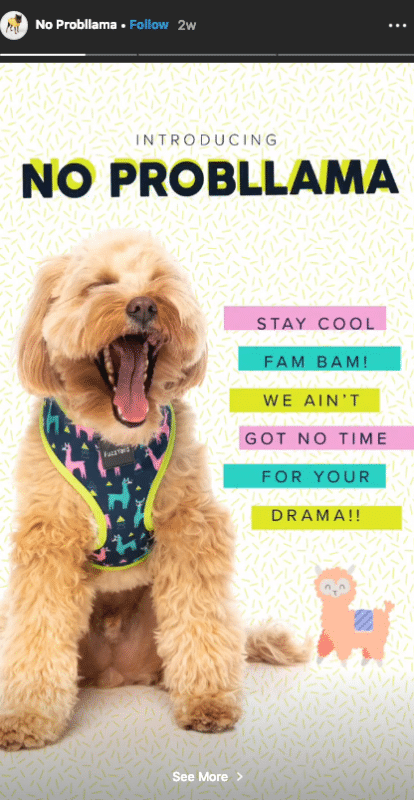 In fact, every day over 400 million Insta-users express themselves via the Stories feature. But what’s all the buzz about? Are Stories really worth your time? Why use Instagram Stories for your business? Stories are given front-and-center prominence on BOTH Facebook and Instagram – meaning your message won’t get lost in the feed. Stories prominence on Facebook and Instagram. Sure, there are several other reasons I could harp on about with regards to user attention, consumption urgency, and shareability – but positional prominence at the very top of a user’s reading experience is reason enough to give Stories a go. Especially given the non-existent organic reach of other content shared on your Facebook Page – Stories are a no-brainer. So, then, if Insta Stories are on your social media agenda in the near future, how can you make the most of them? The rest of this article will break down some of the different ways you can use Stories, as well as some tips for improving their performance. Not sure where to get started with Stories? Here are seven ways you can use this powerful feature for your business. Tutorials are a great way to make the most of the Stories feature. A tutorial could be something as simple as a short how-to video, or it could be more intensive like a product demonstration. Either way, educational content is a proven way to pique the interest of your audience on Instagram. As we’ve mentioned in the past, UGC is considerably more memorable than other types of content such as ads or brand-generated content. The reason is simple, UGC reflects the true feelings of relatable individuals who actually use your products or services. 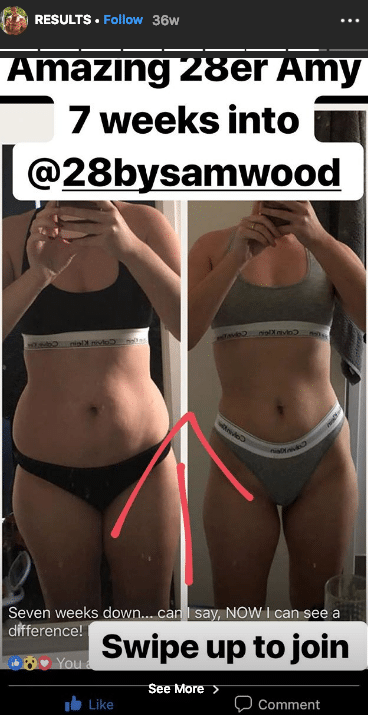 UGC example from 28 by Sam Wood. UGC example from French Connection. 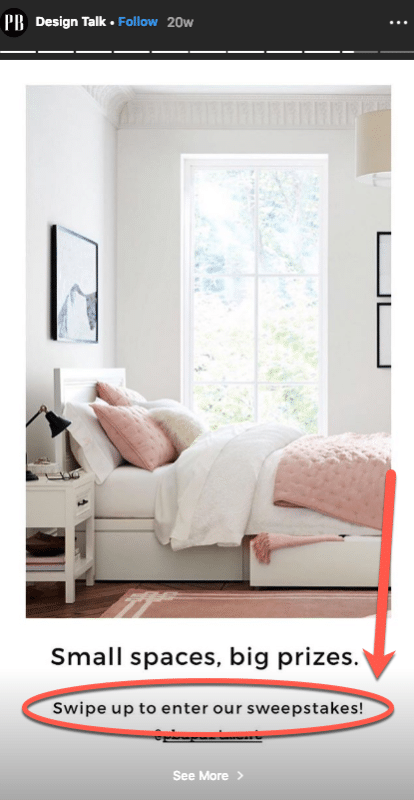 UGC example from Hello Blooms. Shining the light on your employees or taking your audience behind-the-scenes into the workings of your business can help humanize your brand and build trust with your followers. 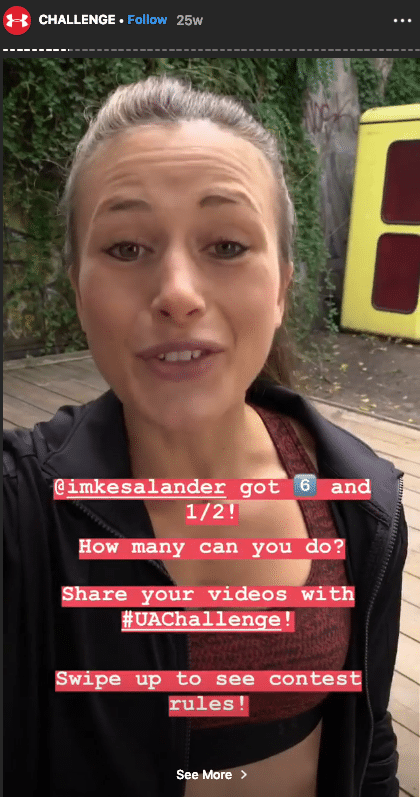 A cool feature of Insta Stories is the ability to run simple polls with your audience. Polls are an interactive way to engage users and oftentimes capture valuable information you can use in future marketing efforts. 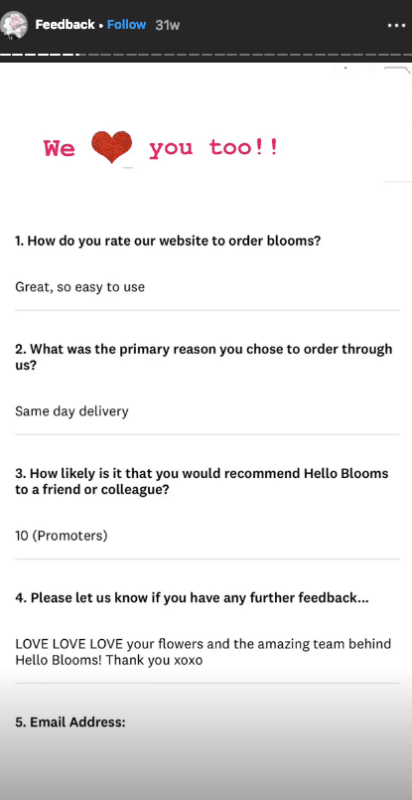 Poll example from Hello Fresh. Given their prominence on both Instagram and Facebook, Stories are a perfect place to make special announcements or run promotions. For example, if you have a new product line coming out, are planning a Black Friday sale, or are running a giveaway, the urgency-factor of Stories makes it a desirable distribution channel. Product announcement from Frank Body. 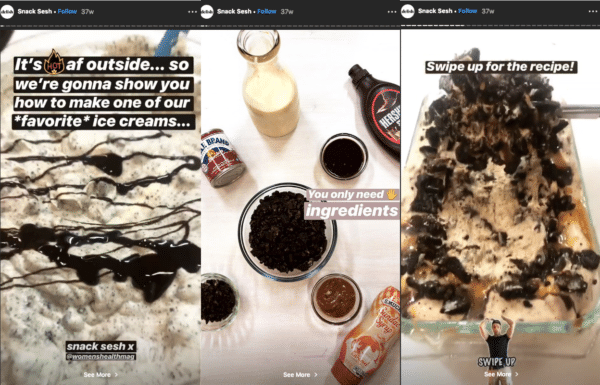 The interactivity and high engagement levels of Instagram Stories mean that they are custom-made for obtaining valuable feedback from your customers. If you are eager to get product, service, or any other feedback from your customers, consider running a poll on Instagram Stories or even a live interactive Q & A session. 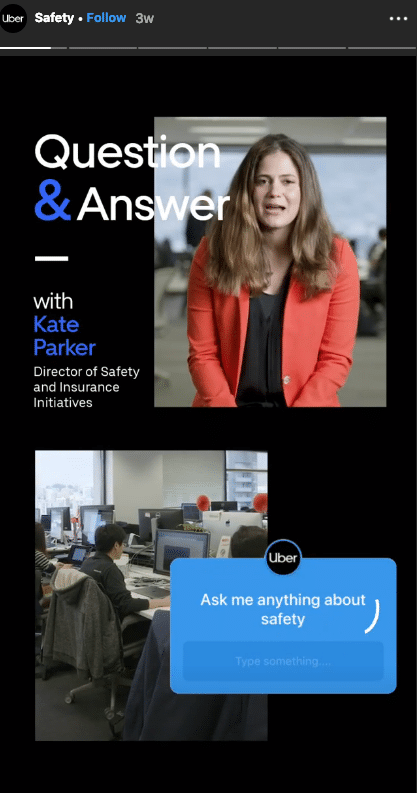 Customer feedback example from Uber. 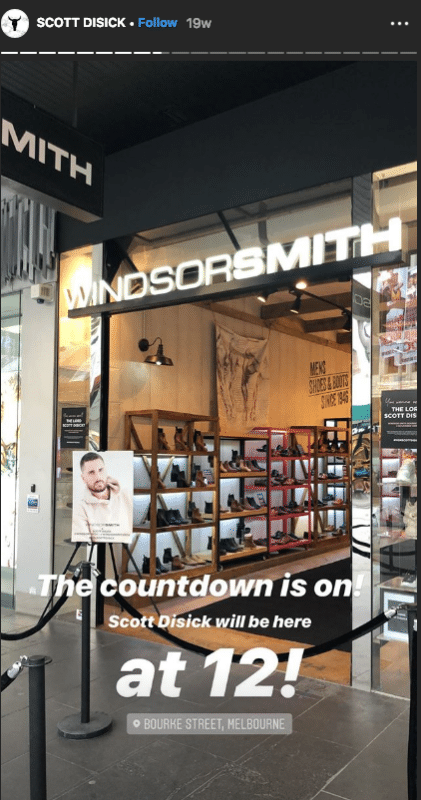 I’ve mentioned the “urgency-factor” of Insta Stories on a few occasions during this article and there is no better way to make the most of this than by offering a timebound deal or discount. 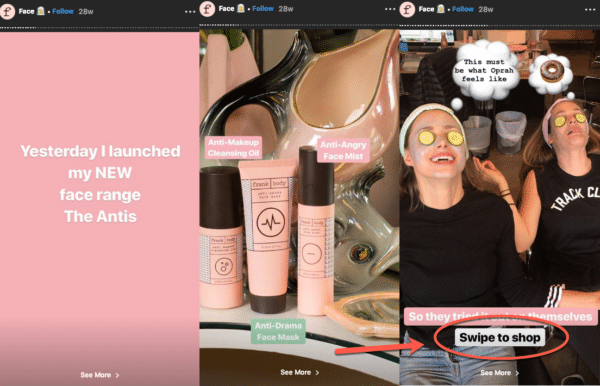 Due to their disappearing nature, you can run mini-promotions on Instagram Stories that create urgency and entice your followers to take action immediately. 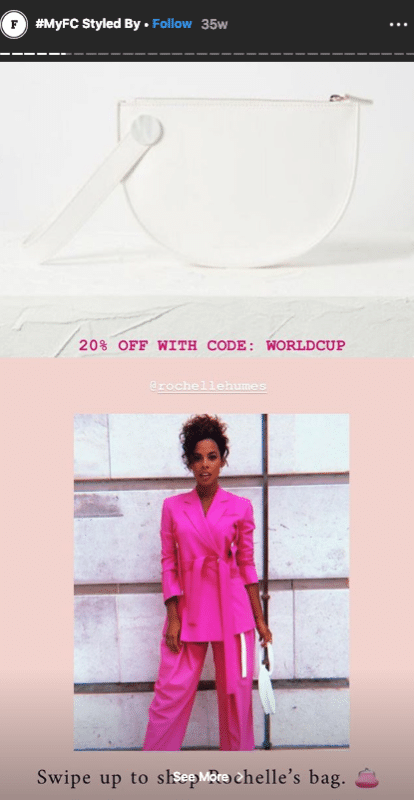 If, for example, you are an eCommerce brand who runs flash sales, Black Friday sales, or other seasonal promotions, consider promoting them via Instagram Stories. Deal example from French Connection. The type of story you choose to use will determine how interactive people are likely to be with it. For example, if you conduct a poll or live Q & A session, they are designed specifically to garner interaction. 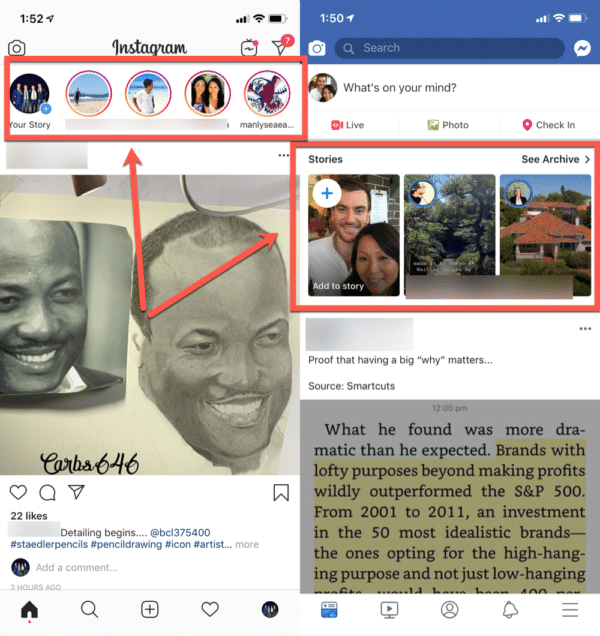 However, you can also make the most of the huge list of Instagram Stories features to increase the chance of someone interacting with your campaign. Some of these features include; polls, swipe to link, overlay text, image editing, and tagging users. Interactive story example from Under Armour. 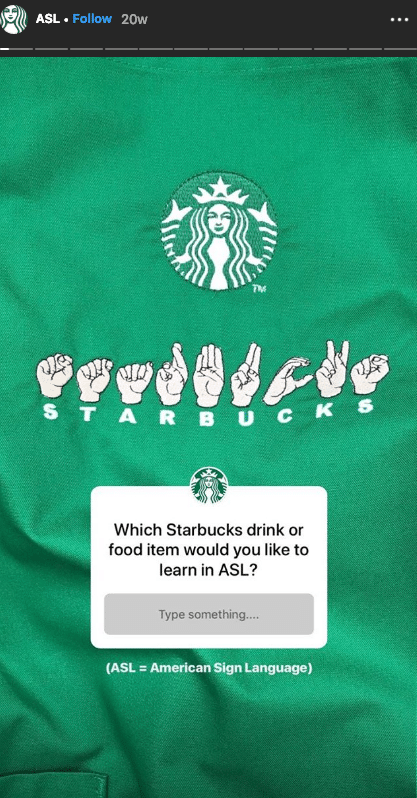 Interactive story example from Starbucks. Without the Highlights feature, Instagram Stories would be far less effective for brands because a lot of your best content would disappear after 24 hours. The Highlights section, which you can see on your account page, allows you to extend the life of popular Stories, as well as categorize your Stories so that new followers can see the great content you have been sharing. 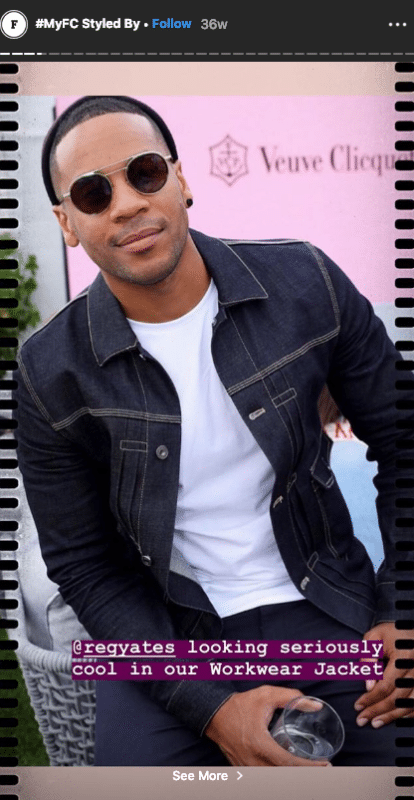 Story highlights from Daniel Wellington. 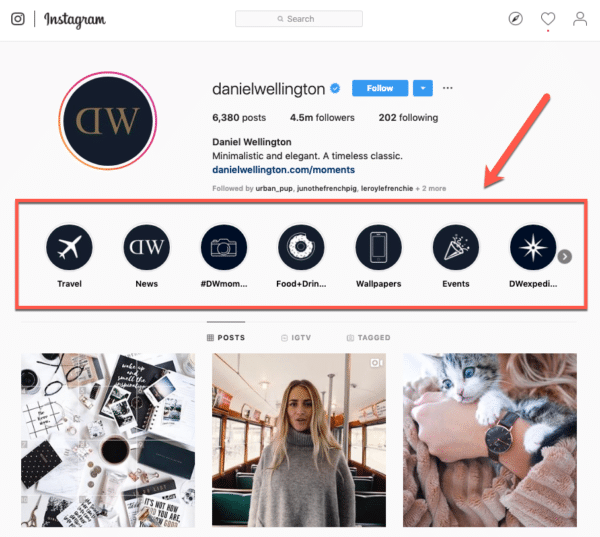 All you need to do to activate this visual carousel on your page is to turn on the Stories auto-archiving feature from your settings and begin choosing Stories to feature. It’s suggested that an epic 1 in 5 Stories on Instagram get a direct message from viewers. These sky-high engagement rates make Stories an intriguing place to run ads, especially considering not a lot of brands are doing it yet – when compared with other advertising channels. 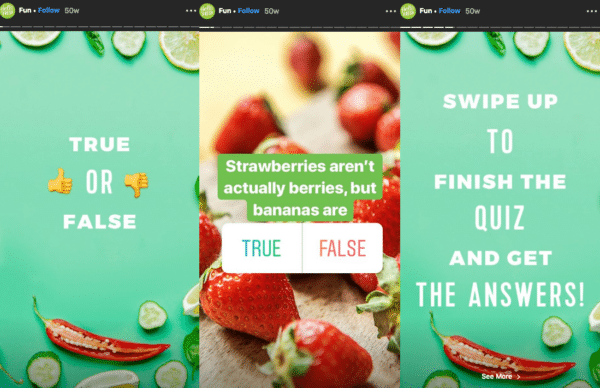 Instagram Stories ads are seen by viewers as they swipe through the Stories of their followers and can be set up just like any other Facebook or Instagram ad – using the ads manager or power editor. 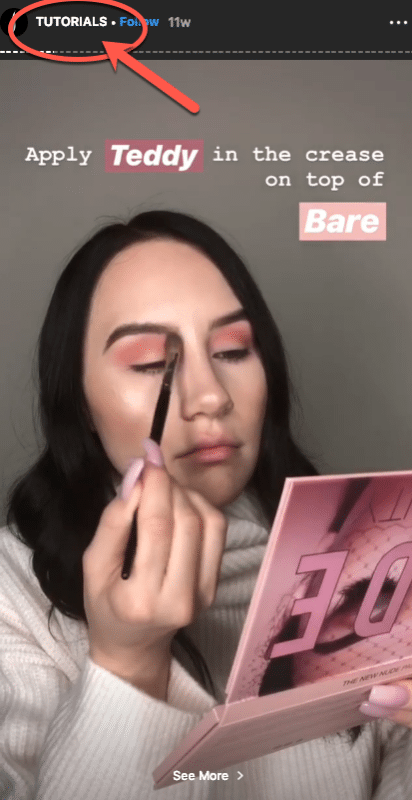 Working with influencers, big and small, is one of the most effective marketing tactics on Instagram due to the visual nature of the platform and engagement of users. By collaborating with someone who already has established trust with your ideal customers, you can run promotions, get product reviews, and significantly decrease your customer acquisition cost when compared to other paid marketing channels. There are currently nine options available when starting a new Instagram Story; Type, Music, Live, Normal, Boomerang, Superzoom, Focus, Rewind, and Hands-Free. All of these story types have different quirks, from looping 3-second GIFs (Boomerang) to reverse filming (Rewind), you are only limited by your creativity. Consider using a mix of these options in your Stories strategy and over time you will determine which ones resonate most with your audience. To increase the reach of your Instagram Stories, consider using geotags and hashtags so that users will find you when searching on the platform. Branded hashtags help you gather valuable user-generated content as well. 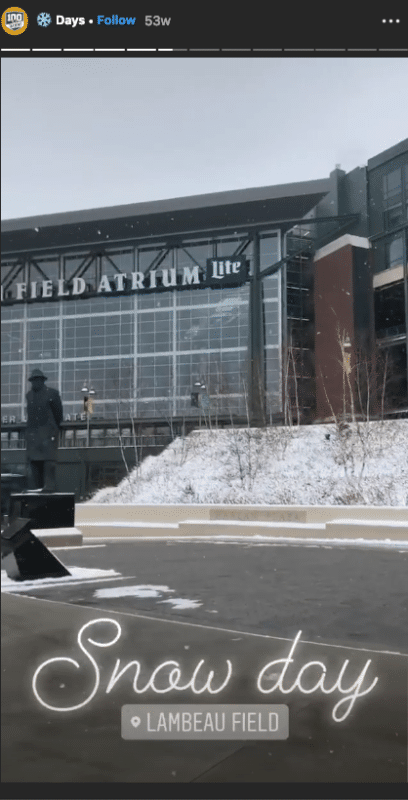 Geotag example from the Greenbay Packers. 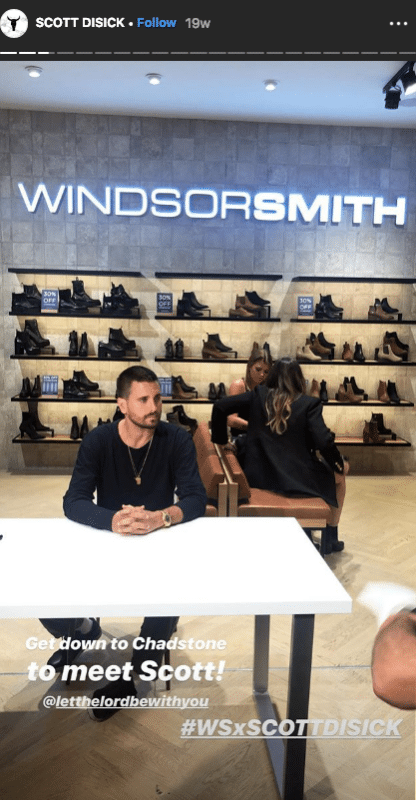 Geotag example from Windsor Smith during an influencer campaign. At the end of the day, there are so many different ways to execute a Stories strategy and an array of various features to use – how you do all of this will depend on your business and customers. Consider testing a few approaches, styles, and interactive elements over time to determine an effective formula for your brand.